1. outer tube, impact, durable. 3.tied with ropes and hung on the waist for easy carrying. 4.the bottom of the magnet can be installed (also optional). 5. waterproof design, the rain can still work. The LED Traffic Wands is the latest in traffic directing safety, serving as both a safety baton and flashlight. 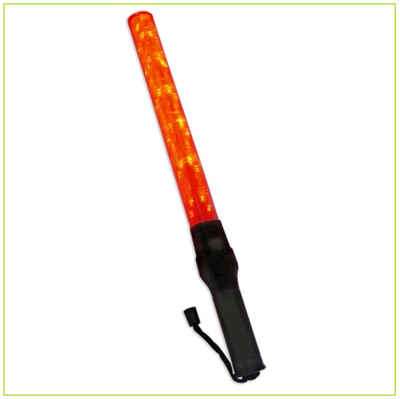 This LED Traffic Wands l features a durable ABS casing, polycarbonate lens, and a magnetic wand base.